When we celebrate seders at my house, the focal point is neither the Lenox nor the silver seder plates we always include. No, it is the matzah plate that Eytan made in Kindergarten, the matzah cover created by Noah and the Kiddush cup painted by Ari. I should mention that my three children are 30, 28 and 26, and have probably forgotten ever having made those items, or when we first introduced the crumbling pyramid we used until last year to recreate the actual Exodus in a sand box. If I had to identify the objects in my house that are both infinitely valuable and therefore irreplaceable, I would count those childhood crafts very high on the list. I love them not just because they remind me of my children when they were little, they recall seders around the table with people who are no longer here, except in the recollections we hold close. Handmade treasures are visual touch points that open a flood of memories, and I welcome them each year as I prepare for the holiday. We have tried to create the same feelings when we began our 7th grade tallit workshop, inviting parents and/or grandparents to help their students design their own prayer shawls that they could wear for their actual ceremony or keep as a memento. Years ago, a grandparent accompanied her grandson and after two hours of creating a unique treasure, signed her name next to a little heart in the right hand corner. When her grandson was called to the bimah as a bar mitzvah, he wore the shawl proudly, even though his grandmother had died in the interim. He will always have that memory of shared creativity. We will do the same for the 5th and 6th graders this year as we plan our Family Yad project. In February, we will be taught about the importance of the silver pointer that keeps our hands away from the actual Torah parchment, lest we rub away the words with the oil on our fingers. Each student will put together their own personalized pointer, with their name and decorations that they have chosen. By doing so, parents will be making concrete the promise in the Sh’ma: Veshinantem l’vanecha … “And you shall teach this to your children …” Side by side, creating memories to last a lifetime. I enjoy the family programming events the most, because true Jewish learning does not begin with TRT; it begins with all of you. 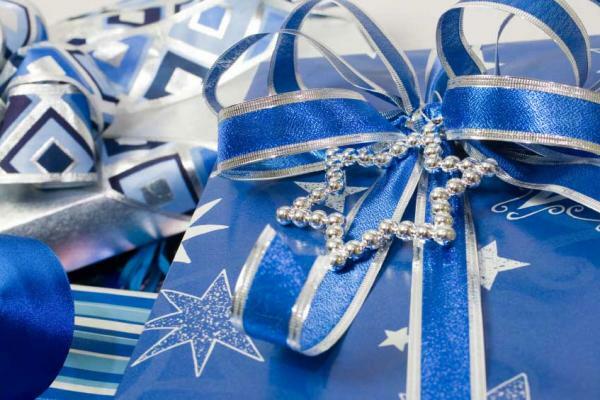 Every time you choose which holidays to celebrate, which traditions you bring into your homes, the rituals you expect your children to be a part of, as they watch you model doing them, you are guarantors of the future of Judaism. 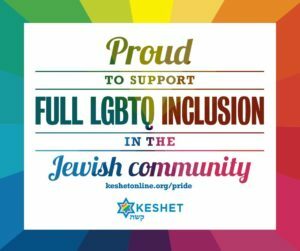 Every time you put up a mezuzah, or go to a Jewish museum, or buy challah for Shabbat, you are giving Judaism of the 21st century a chance to continue. We at Temple Rodeph Torah then build on what you have started. Each time we invite you to a family programming event, to paint a tallit or to bead a yad, or make a Shabbat box, or craft homemade hanukiyyot, or Sh’ma pillows and blankets, consider that an opportunity to invest in your family’s Jewish future.